The 2019 Honda Passport is a 5 passenger Automatic transmission, 2 Wheel Drive Sport Utility Vehicles or 4x4 Sport Utility Vehicles. It is available in 4 trim packages, the EX-L, Elite, Sport, and Touring. The new Honda Passport invoice price ranges from $29,253 to $39,916, while MSRP ranges from $31,990 to $43,680. 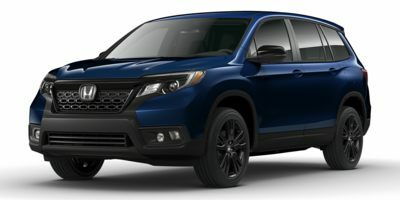 The 2019 Honda Passport is available in 8 exterior colors, Black Copper Pearl, Black Forest Pearl, Crystal Black Pearl, Deep Scarlet Pearl, Lunar Silver Metallic, Modern Steel Metallic, Obsidian Blue Pearl, and White Diamond Pearl, and 2 interior colors, Black, and Gray.